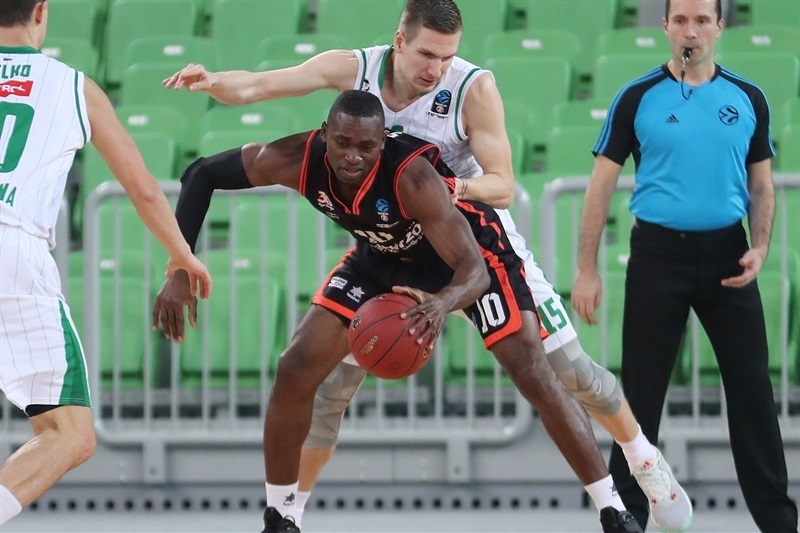 Valencia Basket clinched first place in Group D by edging Union Olimpija Ljubljana 72-75 in the Slovenian capital on Wednesday. 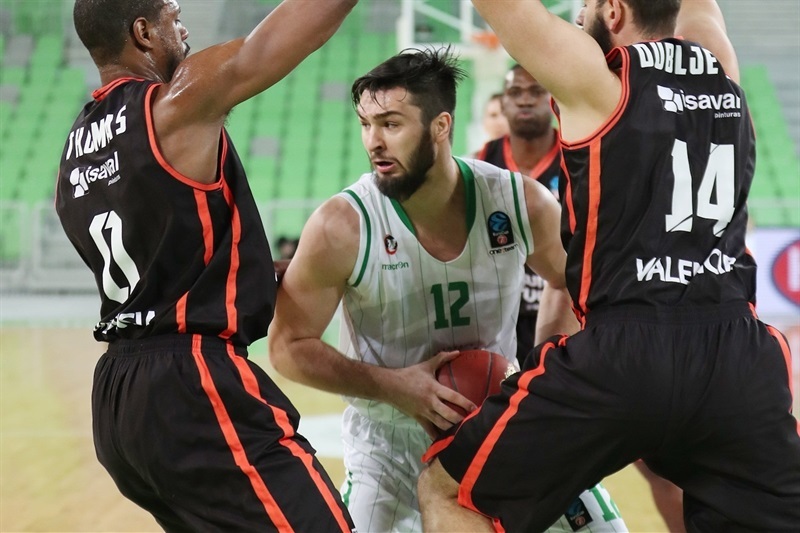 Valencia improved to 6-1 in Group D and locked up first place in the process, while Olimpija finished the regular season in fifth place with a 1-7 record and will not continue on to the Top 16. Pierre Oriola led the winners with 20 points and Will Thomas added 11 and 11 rebounds for Valencia, which had five other players with at least 5 points. Gregor Hrovat led Olimpija with 18 points on perfect shooting. Devin Oliver added 12 points and Stevan Milosevic had 10 for the hosts. The game went down to the wire, but Antoine Diot shined in crunch time to win it for the visitors. Oriola took over early in the game with 8 quick points and Luke Sikma struck from downtown for a 3-11 Valencia lead. Slava Kravtsov stepped up for Valencia and consecutive baskets by Thomas made it a double-digit game, 7-19. Thomas kept pacing Valencia and an alley-oop slam by Kravtsov gave the guests a 14-28 margin, which Oliver cut to 16-28 after 10 minutes. Valencia was held scoreless in the opening five minutes of the second quarter. Meanwhile, Hrovat and Nikola Jankovic brought Olimpija back to life at 22-28. A three-pointer by Sikma and a fast break layup by Joan Sastre gave Valencia some fresh air, 26-37. It didn't last long, however, as Oliver stepped up for Olimpija, getting help from Drazen Bubnic and Jan Barbaric to bring the hosts as close as 37-39 at halftime. A three-pointer by Rafa Martinez and a close basket by Fernando San Emeterio boosted Valencia's lead to 41-48 soon after the break. 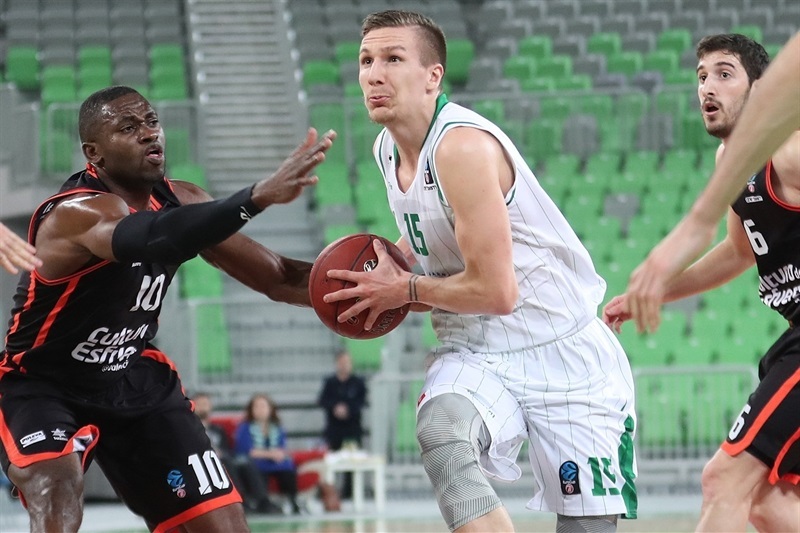 Olimpija used a 6-0 run, which Blaz Mesicek capped with a layup-plus-foul, to make it 47-48. Diot and San Emeterio each struck from downtown in a 1-10 run that restored a 48-58 Valencia lead. Oriola allowed the guests to get a 12-point margin, 52-64, after 30 minutes. Hrovat stepped up for Olimpija to give his team hope, 60-67, midway through the fourth quarter. Three-pointers by Barbaric and an outstanding Hrovat brought Olimpija within striking distance, 69-71, with three minutes left. 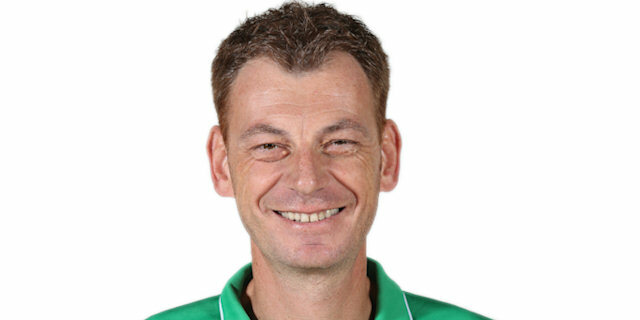 Hrovat scored in penetration and a free throw by Jankovic completed Olimpija's comeback at 72-71 with over a minute to go. Diot nailed a three-pointer and split free throws for a 72-75 edge with 22 seconds remaining. Barbaric hit an incredible three-pointer, but it came after the buzzer. "Congratulations to Valencia. This is how it is in basketball. When you have a chance to win it, you have to grab it. We had this chance today. We played great defense on the crucial offense of Valencia, we defended well, but then we threw the ball out of bounds. I could say that this was inexperience, but still, we had better options for this inbounds play. We played a good game, expect in the start. We did not follow the agreements from the locker room in these moments. It is hard to come back after such start, but we did. I would like to praise Barbaric, because he played a really good game in defense and guided the team well in offense. I am really sorry that everything turned out like it did, but this is basketball. There were some really good things tonight on our part, but I am not happy with the result." "It was a tight game. We played great in the first quarter. We did not continue this way until halftime. 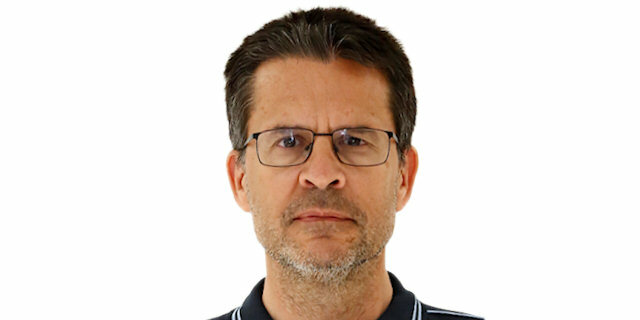 The difference was the three-point shots, because when we have good percentage, we play much better. In the last five minutes, the home team played great and moved the ball very well. They also scored the open three-pointers. It was a very tight game until the end and we were lucky with the last shot. "